Thanks to the brand’s legendary reputation for producing exceptionally reliable vehicles, buying a used Honda is a great choice for your next car. These vehicles are built to last and provide their drivers with plenty of benefits on the road. 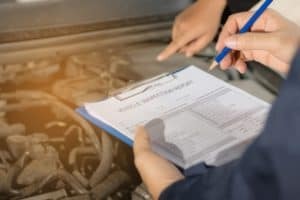 In order to make sure that your used Honda has exactly what you need in a vehicle, though, you need to do your due diligence. To help make sure that you don’t miss anything, we are going to provide drivers in Long Beach, Cerritos, and Newport Beach with a checklist for buying your next pre-owned Honda. You can use this checklist for when you’re ready to embark on the journey toward finding the used car that’s perfect for you and your lifestyle! Since you are not buying new, some of the warranty that came with your next Honda was either used up or has expired. That being said, your vehicle should still be protected with a solid warranty that will give you the peace of mind that you deserve. It is for this reason that you should make certain that any used Honda that you consider has an extended warranty that covers the engine and transmission. The dealer should be able to furnish proof that they have reconditioned or replaced (with genuine Honda parts) any component that does not meet the official standards of Honda. When you can check this off, then you know that you are receiving all of the necessary benefits listed above. In order to earn Certified Pre-Owned status, a used Honda must undergo a rigorous 182-point inspection of the vehicle’s components, even receiving updates and replacement parts to ensure that the vehicle is in quality condition. 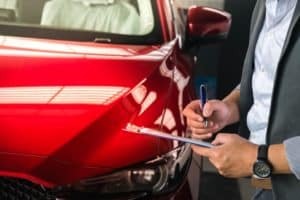 These vehicles also come with a free vehicle history report that details the vehicle’s previous maintenance and service record, as well as its accident history. Lastly, these models come with a few added benefits like the 3-month trial subscription of SiriusXM® Satellite Radio, which adds more than 150 stations to your entertainment selection. A Certified Pre-Owned Honda also includes a 7-year/100,000 total odometer mile powertrain warranty, which covers important engine and transmission components. Every vehicle that has been owned and driven, has a file called a Vehicle History Report. This document is crucial for you to review when you intend to take the next step with a vehicle. You can learn how well the previous owner(s) kept up with routine maintenance, as well as any other major issues that may have occurred prior to you finding the vehicle. The Vehicle History Report can show you some serious red flags that you can potentially avoid. One of the biggest red flags to notice is the age of the vehicle vs. how many owners it has had. 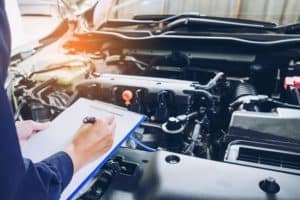 If a vehicle is only a few years old, and has gone through a few owners, it may indicate that there’s something wrong with the vehicle. It’s important to take note of any accidents that the vehicle may’ve been in, because it means there could’ve been significant work done to the vehicle. In many cases when buying the used Honda that you want, cash is simply not an option. 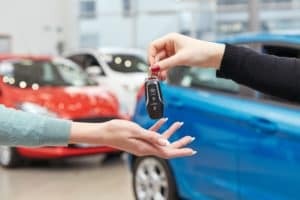 That is why a dealer should always be able to offer several financing options that allow you to buy the car that perfectly suits your needs, without having to worry about how you are going to pay for it. The dealership’s loan options should be flexible enough to perfectly match your needs. For example, you should be able to choose (within reason) how long your financing period will be. While you have been shopping around for your next used Honda, you may have been pondering what to do with your old vehicle. If the Honda dealership that you visit has good trade-in options available, you no longer have to worry about this; they will take your old vehicle off your hands and give you cash value for it, so that you can pay even less for your next used Honda. You can use the cost of your trade-in as your down payment, and as you know, the amount you put down will affect your monthly payments, so you could use the full amount and enjoy the benefit of low monthly payments throughout your ownership. Trading in your old car can help you save on your next car. One of the most important steps of the used car buying process is taking the test drive to experience what the car has to offer. It’s your chance to assess the performance to make sure that the gas and brake pedals are responsive, the steering wheel has full function, and the instruments and features work as expected. The test drive is a great indicator to help you feel more confident in your decision. One of the greatest things about buying a used Honda is that, unlike a new one, the price is not set in stone. The dealerships expect you to negotiate with them (although the best Honda dealerships will offer you a great price from the very beginning). When it is time to buy your used Honda, stop by the Norm Reeves Honda Superstore. They are the number-one Honda dealership in the nation, thanks in part to their vast selection of certified pre-owned Hondas. 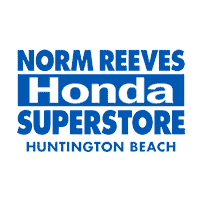 At Norm Reeves Honda Superstore Huntington Beach, we’re proud to help drivers in Long Beach, Cerritos, and Newport Beach get the most out of their journey toward the right used car.